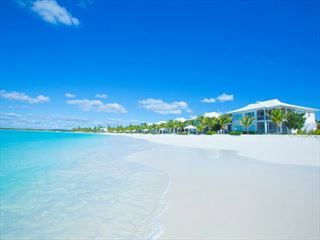 The sugary white sands that line the small Bahamian island of Eleuthera is simply jaw-dropping. The Cove Eleuthera is clearly inspired by this enticing natural beauty, offering a serene and secluded escape nestled only steps away from the azure sea. 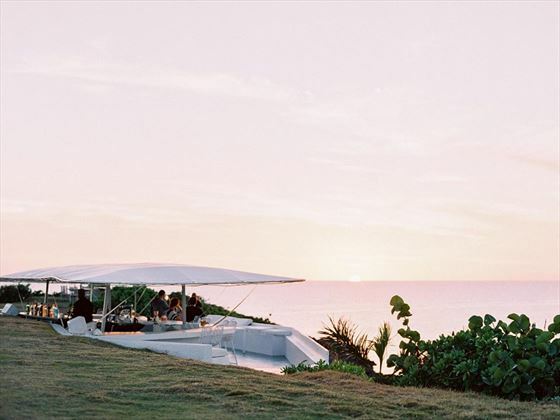 Located just outside of Gregory Town, The Cove Eleuthera is perfect for those who fancy a quiet and intimate stay, offering an alluring castaway feeling, but also the joy of luxury and contemporary amenities. 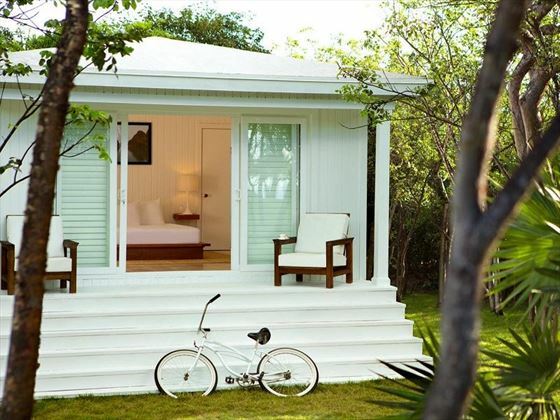 The bungalows, sanctuaries and villas here are simply stunning. 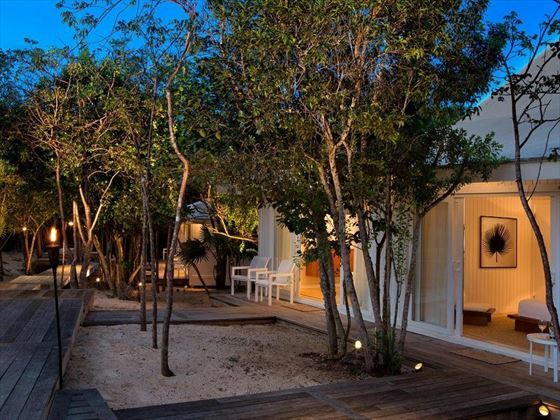 A mix of white interiors, luxurious woods and plantation-style exteriors create an indulgent ambience, with the airy ambience blending beautifully with the luscious garden or picturesque ocean views that you’ll be graced with. A selection of non-motorised water sports and outdoor games will keep you busy, or you could treat yourself to a signature massage in the beautifully-appointed spa. No matter how you wish to spend your sun-drenched days, the Freedom Restaurant and Sushi Bar offer a delightful menu of island cuisine to help satisfy your hunger, or you could wander along to Gregory Town Grill for a laidback meal by the beach. As the sun starts to set, venture up the point bluff and indulge in a handcrafted cocktail at The Point Bar. 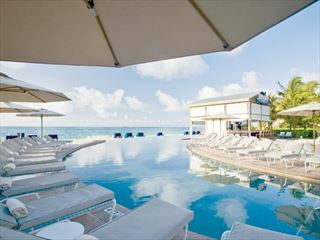 This peaceful resort is found on the island of Eleuthera, a small island in the Bahamas characterised by its sweeping silky sand beaches and ancient coral reefs. You’ll find The Cove Eleuthera just outside of Gregory Town. Garden View Bungalow Studio – Lovely 210sqft bungalows built into the natural landscape, with one queen size bed. Garden View Sanctuary – Only a few steps away from the private viewing room and garden, these 260sqmft sanctuaries overlook the beautiful fire garden, featuring a king size bed. Garden View Kamalame Cottage – These picturesque 210sqft Balinese-style cottages with a wonderful island backdrop, featuring a king size bed. Garden View Arawak Studio – Named after the indigenous tribe that first settled in Eleuthera, these 210sqft studios have a unique Arawak roof design, and are nestled right by the ocean. Partial Ocean View Sanctuary – Located in the Sanctuary building, these 260sqft rooms face the sparkling ocean, and reside only steps away from the fire garden. Garden King Suites – Nestled along the edge of the Palm Tree Garden, these 550sqft suites have one bedroom and a separate living room. Ocean Facing Suites – Featuring either one or two bedrooms, these 500-1000sqft suites are found along the edge of Zoysia grass and Palm Tree Garden, offering a peaceful escape with a variety of luxury amenities, including two TVs, and individual temperature control. 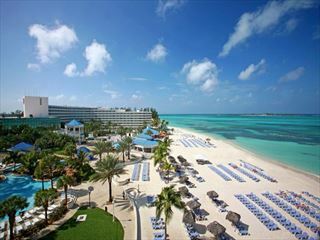 Ocean Front Cove Suite – Less than 30 steps from the ocean, these gorgeous 750sqft suites have unsurpassable ocean views. Ocean Front Master Cove Suite – Beautiful beachfront 950sqft suites offering phenomenal sea views, plus a bugger bathroom with a bathtub and indoor and outdoor showers. Vista Royale Two Bedroom Oceanfront Suite – These 1000sqft suites are utterly gorgeous, offering uninterrupted ocean views from the Ipe wood terrace, plus two bedrooms and a separate living area. One Bedroom Villa – With 1,700sqft of space, plus the most incredible ocean views, a bathtub, and indoor and outdoor showers. Ocean Front Three Bedroom Villa – Perched on the bluff and nestled within steps of the private beach, this is the most secluded villa option. Featuring three bedrooms, a private butler, a private pool, a full kitchen, three king size beds, and a seating area that can be converted into two single beds. Freedom Restaurant & Sushi Bar – A sophisticated yet laidback restaurant, perched on the beachfront and serving up a sumptuous menu of island cuisine. Gregory Town Grill – Fusing American and Asian cuisine with island favourites, this cool restaurant has a very chilled-out atmosphere. The Point Bar – Perched on the scenic bluff found in between the north and south beach, this bar offers incredible views alongside handcrafted cocktails, ice cold beers, and decadent wines. Private dining – Room service is available and offers a full menu for breakfast, lunch and dinner. You can also book a romantic, private beachfront dinner. The spa at The Cove Eleuthera is a luxurious retreat, framed by white sands and offering a peaceful soundtrack of waves lapping against the shore. The treatments here are holistic, and aim to revitalise the body and mind, including signature massages, foot reflexology, and traditional Thai treatments.